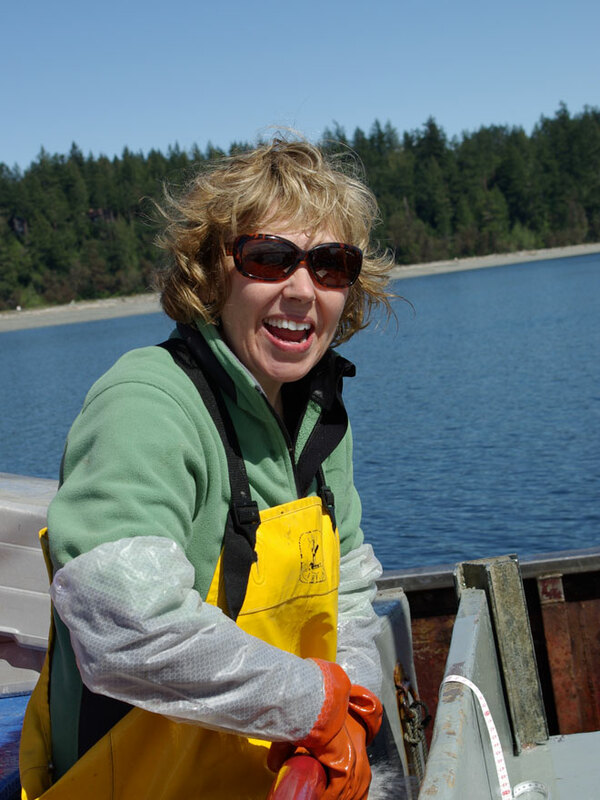 When Washington Department of Fish and Wildlife scientist Sandie O’Neill began studying toxic contaminants in fish 26 years ago, many people wondered why Chinook salmon from Puget Sound were so heavily contaminated with PCBs. Everyone knew that the urban bays of Puget Sound were hotspots for harmful chemicals, but didn’t the migrating salmon put on most of their growth in the ocean, far from the polluted bays? The answer was found by looking at individual fish. Some Chinook caught in Puget Sound were heavily contaminated with PCBs, while others showed relatively low levels. The level of variation appeared to be far greater than for most waterways around the world. Further studies by O’Neil and others revealed that nearly one-third of the adult Chinook caught in local waters had lived their entire lives in Puget Sound. Those were the ones most heavily contaminated. In contrast, Chinook that migrated out of Puget Sound still carried the chemicals they acquired from their early days. But by the time they returned, the chemical concentrations were far lower, because of the cleaner foods they had consumed in the ocean. Puget Sound Chinook — both residents and ocean migrants — are listed as “threatened” under the Endangered Species Act. So far, efforts to rebuild the Chinook population — such as reducing the harvest, rebuilding the habitat and altering hatchery programs — have failed to reverse the downward spiral. 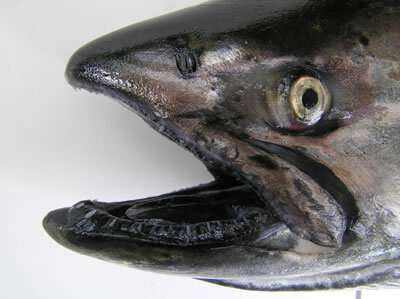 Chinook that live out their entire lives in Puget Sound are known as “resident Chinook” or “blackmouth,” a nickname derived from their dark gums. Some fish hatcheries release their Chinook later than normal to increase the blackmouth population and provide for winter sport fisheries. Studies suggest that in years with colder temperatures more of the wild Chinook will become resident. Also Chinook that remain in their home rivers for a year, instead of moving right into Puget Sound, tend to be larger, which also makes them more likely to become resident. “If you are big enough, you might want to stay [in Puget Sound],” O’Neill noted. In general, South Puget Sound seems to produce more resident Chinook than areas to the north. Studies of fish implanted with acoustic transmitters have shown that resident Chinook tend to stay more or less in their home areas, rather than moving widely about Puget Sound, according to O’Neill. It would then follow that fish from more contaminated areas, such as Central Puget Sound, would have higher levels of toxic chemicals. A study now underway will examine this idea by testing fish from a half dozen different areas to measure their toxic levels. Comparing the levels of various toxic chemicals in fish tissue could be a good indicator of where the fish come from. On a larger scale, O’Neill has discovered an interesting difference between California and Washington fish, beginning with herring — a central figure in the pelagic food web and an important source of nutrition for larger fish, birds and marine mammals. Herring caught in California tend to have higher levels of the pesticide DDT than Puget Sound herring but lower levels of PCBs. So the ratio of PCBs to DDT can be used as a type of geographic marker. 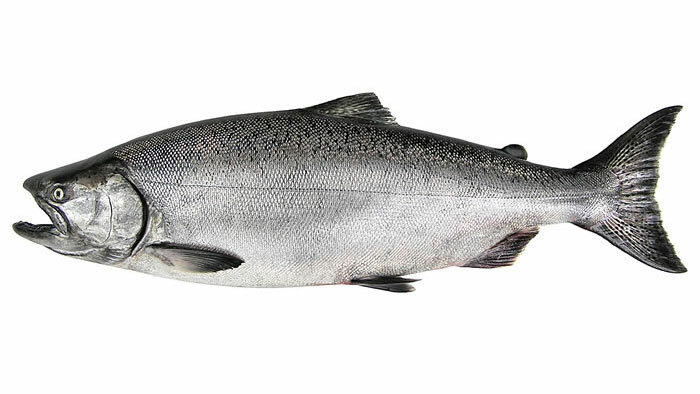 Because Chinook are eating herring, their PCB/DDT ratio is about the same as the fish they are eating, both for California Chinook and for resident Chinook in Puget Sound. It might be expected that Southern Resident killer whales, which are frequently seen throughout the Salish Sea, would have a PCB/DDT signal similar to the Chinook salmon that dominate their diet. But there is a distinct difference among the three pods of orcas. Those findings might have surprised experts several years ago, but more recent observations — including satellite-tracking studies — have shown that all three pods move into the Pacific Ocean at various times during the winter. While J pod spends more time within the Salish Sea, K and L pods venture down the coast to the Columbia River on the Washington-Oregon border and sometimes travel as far south as Monterey Bay, Calif. Although the PCB/DDT ratio tends to be passed from prey to predator, the concentration of toxic chemicals increases from herring to salmon to killer whales, because of biomagnification resulting from the tight hold by hydrophobic compounds embedded in their fatty tissues.